First, let me say that I LOVE essential oils. I do believe they work. They have known healing and disinfecting properties. Johns Hopkins research even found that certain essential oils work better at killing Lyme disease bacteria than antibiotics. I use them in diffusers in our home, I use them to make homemade cleaners and soap, I put them on our dryer balls, and I use them topically for headache relief. I put them in my floor steamer. I own a diffuser necklace. You get it. I use them all the time. I love them and I’ll be happy to talk to you all day about my favorite oils and how I use them. However…. I don’t think this is going to be a very popular opinion, but I’m extremely uncomfortable with how I’m seeing more and more Multi-Level marketing (MLM) companies selling essential oils in dangerous ways just to increase their profits. I find their practices irresponsible and dangerous, and I need to say something about it. I hope that reading this might prevent someone from getting hurt. One thing I will never, ever, ever, ever, EVER do is use them internally unless I’ve consulted with a doctor. (And in our family we do use oils under medical supervision, like CBD. We aren’t against oils, but I spoke to no less than four doctors and psychiatrists before starting our adolescent son on CBD.) And that’s why I am really struggling with companies like Young Living (YL) and doTerra (DT). I have nothing against my friends selling products they love through MLM and earning extra money to support their families. I don’t have experience with doTerra, but I have purchased YL oils to support a few of my friends. I do not have anything against the oils themselves or the people selling them. But I 100% do believe that we need to be better educated about the safest ways to use these oils. The problem is that, even though they are natural, essential oils are still highly concentrated chemicals, and the average consultant selling them is not a chemist. Unless your sales rep also has a medical or chemistry degree or is a certified aromatherapist, all I’m saying is that it’s important to consult a health professional before ingesting any essential oils. You would talk to your doctor and not a pharmaceutical sales rep before you started taking new medication, right? This is the same thing. Selling oils does not necessarily make someone highly qualified to advise on internal usage, regardless of if the company they work for claims the oils are safe. I don’t think any sales reps are trying to hurt anyone, I know they have the best of intentions and have helped a lot of people. They are being told by their company the products are safe and just passing that information on to you, trying to help. But the vast majority of sales reps aren’t doctors, or chemists, or aromatherapists (which is a real certification you have to go to school to get, simply selling oils does NOT make someone an aromatherapist). All I’m saying is to talk to a professional in addition to your sales rep.
Do you know who is a chemist? Dr. Pappas, who famously has tested oils for both Young Living and doTerra, and now does independent third party reviews for other companies as well in order to test the purity and integrity of the oils. These companies rely on his test results to say that their oil is therapeutic or food grade, yet he doesn’t necessarily want you using them internally either. And definitely not in the frequently recommended drops in the water bottle way. That should be a BIG red flag. This is directly from the comments on his Facebook page. I blocked out someone’s name for privacy, he was answering her question about internal usage. It’s important to remember that these are powerful chemical compounds. Some of these oils are literally the medicine that women would use for centuries in order to end their unwanted pregnancies before abortion was legal. Many of those women would also die themselves. Just because they are natural does NOT make them safe to eat. 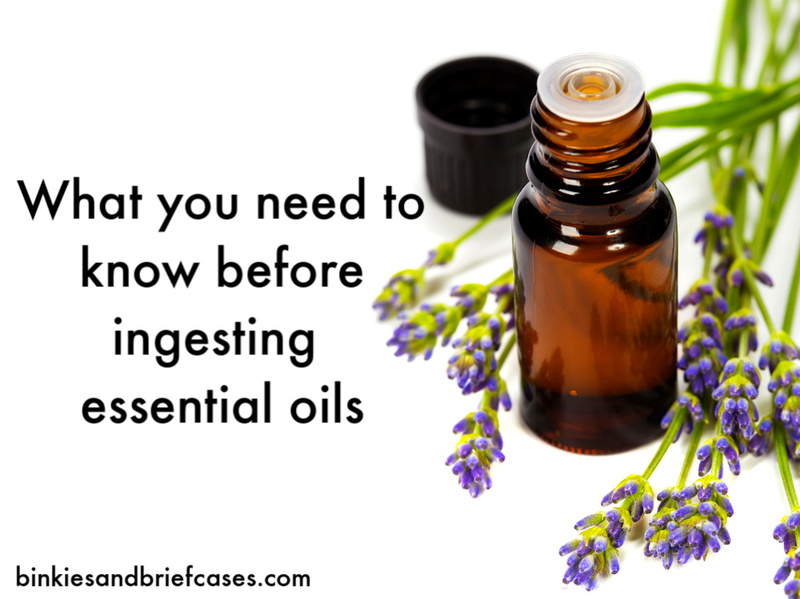 Popular oils like Wintergreen and Eucalyptus are poisonous if ingested. Others are known not to be safe around young children, pregnant women, or pets. Poison Control actually has a page on their website dedicated to essential oils that states to call them immediately if you swallow essential oils. Yet, I have seen several advertisements directly from companies like YL and DT that advocate dropping essential oils straight into your water bottle, making your own tea with quite a few drops of various oils, or adding oils straight to your dinner recipe and feeding them to your entire family (including children). There’s a guacamole recipe on the YL Facebook page that has two different oils in it. FOR THE LOVE, PLEASE DO NOT DO THAT!!!! doTerra says that there are about 75 lemons in each 15ml bottle of their lemon essential oil. And then proceeds to list a bunch of recipes and recommends putting oil into your water. Although lemons themselves are obviously perfectly safe to eat, the truth is there is absolutely no reason you need to spend the extra money for the oil to add it to your water or your dinner recipe when you can just add a regular old slice of lemon from the supermarket for a fraction of the price and much more safely. Why is this guy dropping essential oil into the spaghetti bowl? Listen to Nancy Reagan, people. Just say no. This is just so unnecessary, not to mention dangerous and against the advice of just about everyone who actually knows what they are doing. In conclusion, please please please PLEASE stop ingesting essential oils just because the company that manufactures (and profits from) the oil tells you it’s safe. It’s probably not. Talk to your doctor first. Although I’d be more than happy to talk to you about all of the other ways I DO use essential oils, and I’d love to hear from you in the comments. If you liked this post, please remember to pin and share.